Our games lab looks like it has been through a very wild party and, in a way, it has. The past 48 hours have been a mixture of playing, singing to 80s power songs and making games. Sixty Brunel students gathered at the Games Design lab where the university generously provided a kitchen-full worth of coca cola, snacks, pizza and our professor handed out home-made cookies and sweets. But that is not the reason why we were all there. 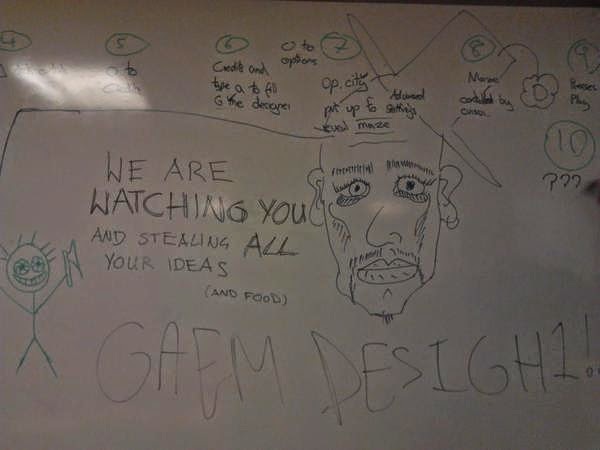 The real reason: to make awesome games in 48 hours for the Global Game Jam, 2015. "You are trapped. So are they. You will need to work together if you want to escape in time, solving puzzles to break down the virtual barriers that separate you. Meeting is a game for two players who sit in the same room yet play on different computers. So grab a friend, set yourselves up and get going. For the ultimate challenge you should avoid looking at your partner's screen. And remember: communication is the key to success!" 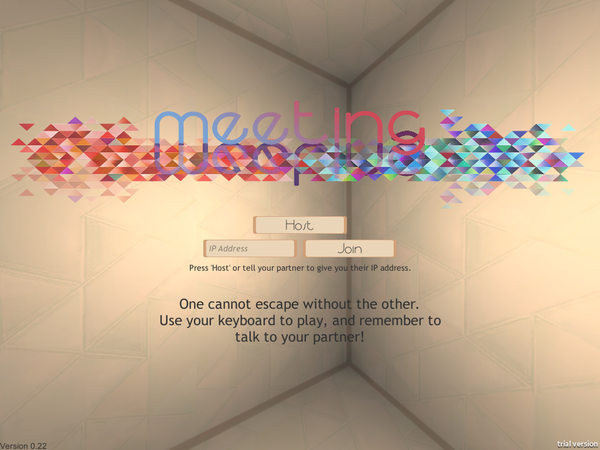 The game is called Meeting and you can download it at the Global Game Jam website here. In this blog I will write about the process of making the game which will cause heavy spoilers. So if you wish to have the experience, I highly suggest you play the game with a friend before continuing reading. An escape the room game between two people. Each person sits down at their own computer to escape the room BUT, their controls are inverted. What they press on their computer affects the other person's screen and vice versa. By the end of the first night we had a Unity3D scene with two rooms and two lights. Press "L" in one computer and the light in the other computer would toggle on and off. In other words, the networking was working. While the genius programmer, Matt, slept, the rest of the team designed. 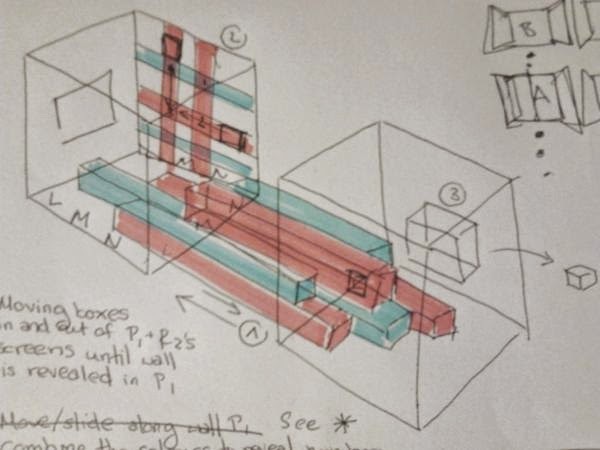 I was the designated sketcher who would draw out the puzzle designs on paper as they were being talked about (image above). We decided to have three rooms to escape from and once the final puzzle was solved, the two virtual rooms become one and the two players meet in the game. We had the first two rooms puzzled out however were stuck on the last one. 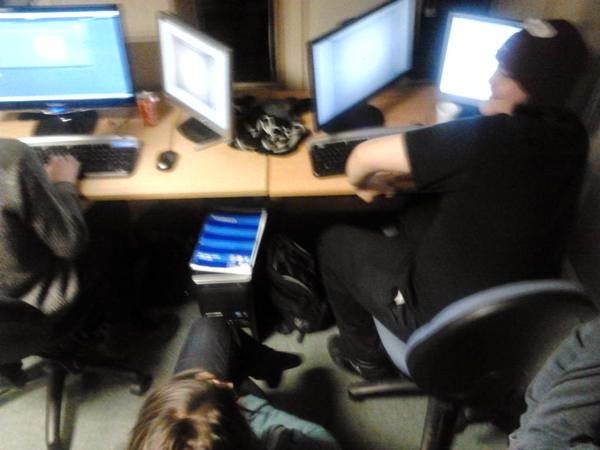 After trying to do paper mock-ups and splitting headaches, everyone went to bed to tackle it in the morning. Not particularly tired, I stayed up and modelled the first and second room along with their assets (image below). Saturday was the most productive. 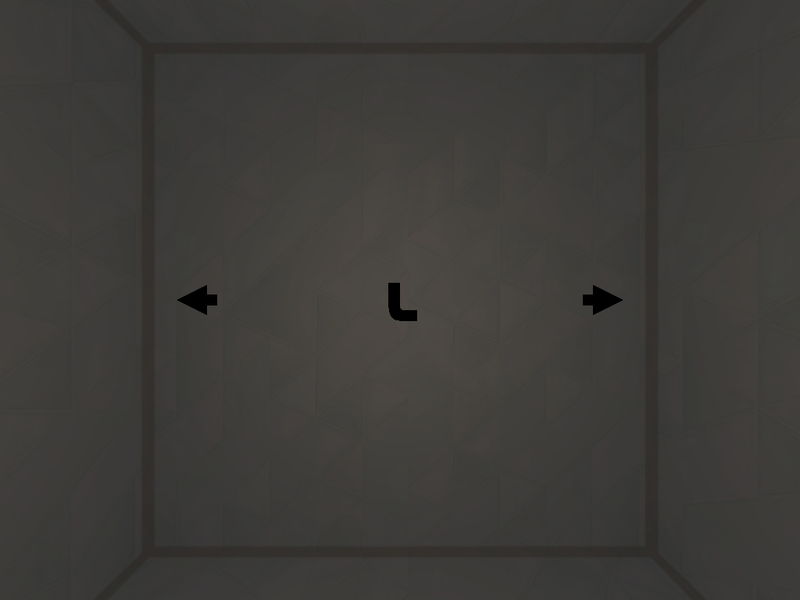 By the time I got in, Matt had the movement controls set up and we worked on adding in the puzzle for the first room. A simple dragging the correct coloured box onto the corresponding coloured platform. There were a few bugs to work out during most of the day and Olga and I worked on texturing the assets. 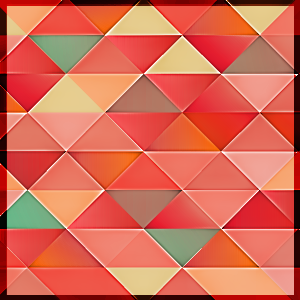 It took us quite a lot of tests and retexturing before Olga made these amazing squares which we promptly began to use for everything. At the afternoon on Saturday we realised that we were facing a problem. The programming was taking much longer than any of us designers had realised. At this rate we wouldn't be able to implement the second and third level. We decided to get the first level playtested as soon as it was done and see where we went from there. The playtesting is where the fun really started. The first two playtesters reacted in EXACTLY the way we designed the game for. When they first started the game, they did not talk to each other and started pressing buttons. Until one would call out "Oh! Hey! You're turning my light on and off!" "You're spinning me around, stop it!" And that would be the ice breaker that would make them start toying around, asking what things did and what the other person saw before realising they can do stuff together. The most interesting was seeing the team dynamics. There were trolls who would proceed to try to annoy the other person as much as possible and laugh evily. There were others that would go at it logically and formally. It was very telling of the type of people the two players were and the dynamics between them. 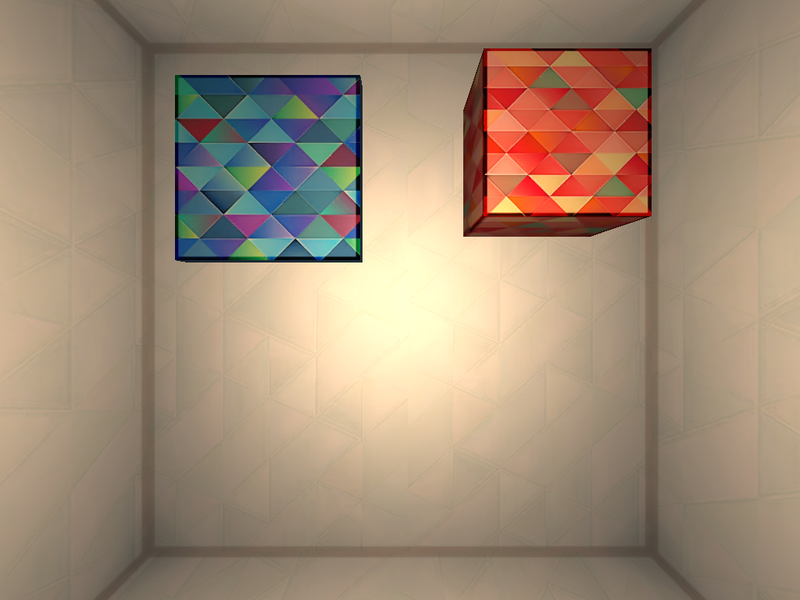 But we also learned a quite revealing fact about the game: the puzzle wasn't too simple. The players were finding it difficult enough to get used to talking to each other in the first place. That single level on its own, while not even one thousandth of as complex as the puzzles we had for level two and three, was enough to get the feeling across. Either way, we had a few tweaks to do in Unity to perfect this level. 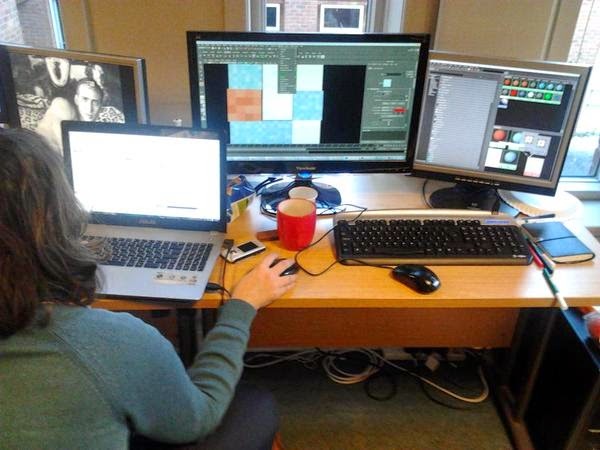 We decided to cut out levels two and three and concentrate on polishing the first level. 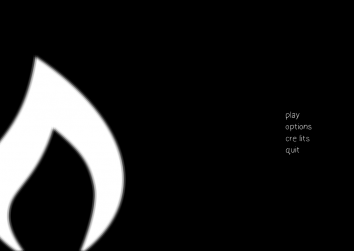 We made a list of things to tweak and redesigned the main menu and the final scene that night. The main issue was that right now players have to type in an IP address to be able to play the game and we wanted to find a way to skip that step. Like Chris mentioned, it can scare players away if they have so much to set up. Especially if it comes in jargon. However Matt let us know that programming for it would take quite a while which we didn't have. We instead let the players know in game which IP address they'd have to type. Tensions were rising on the final stretch. We were all depending on the programming at this point which made me wish I knew more than just Unity3D but also how to program in C#. I really wanted to have a second instance of Unity3D up so I could do the non-programming tweaks like changing and repositioning images so Matt could concentrate only on the programming. Meanwhile Olga was making really cool logos for the submission, Tim and Dan were working on the submission text itself. We made it! There were many more things we wanted to add such as my great friend and muscician Annabelle of BraveYoungGod offered us a song for the title and final screen. But the game was there. It was playable and gave the exact player experience we were going for. 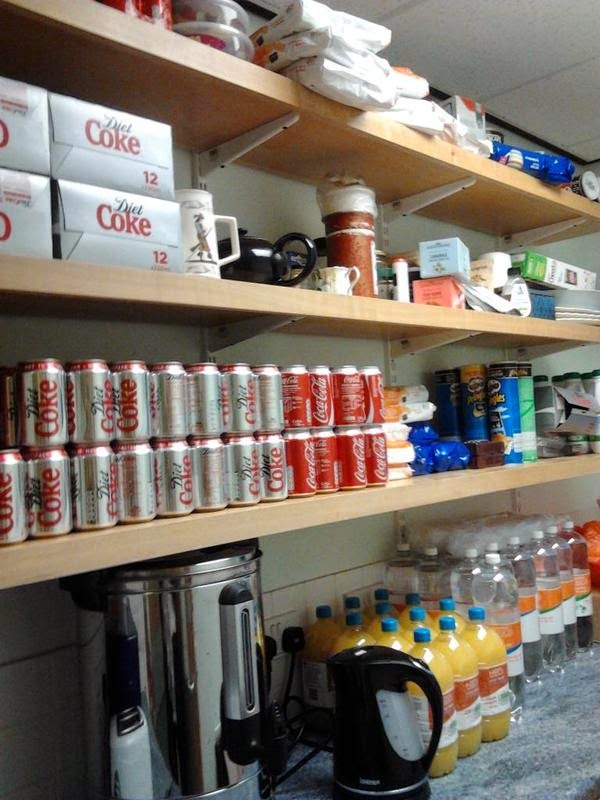 Above all, our team was very good at keeping the morale high. We would go on random midnight wanders, get caught in the rain, sing loudly to disney songs and blast 80's power music through the games lab. 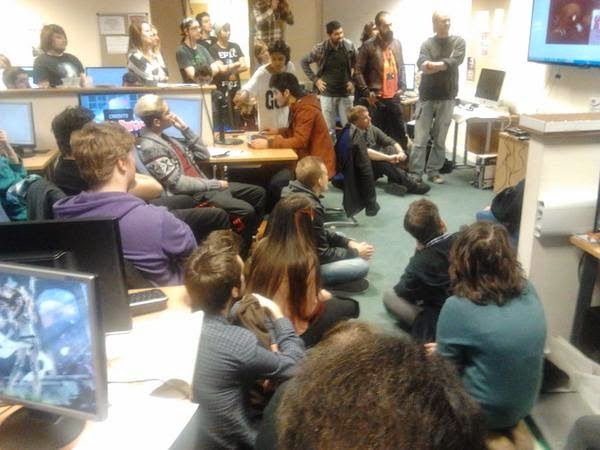 Here are some highlights of all the random things we did that wasn't exactly games but was an integral part of what made the Global Game Jam 2015 such an amazing experience. 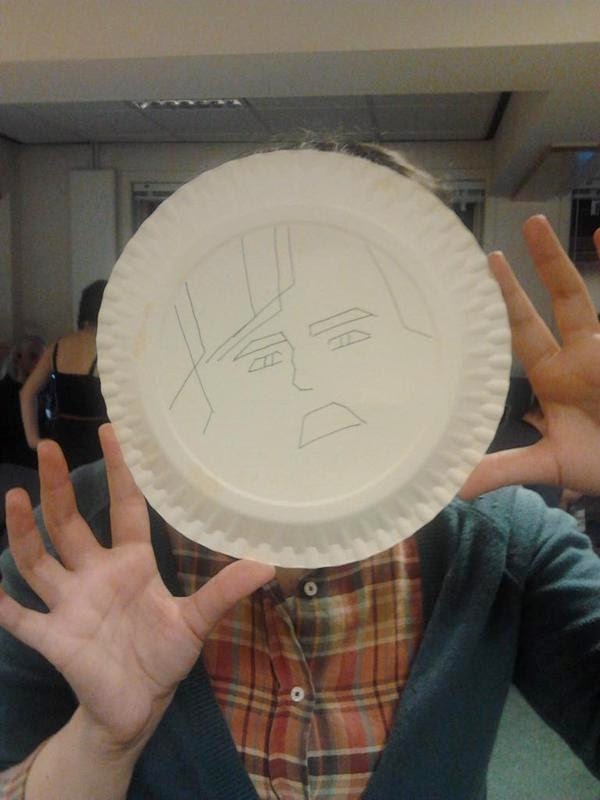 Starting with our mascot: Olga's face (drawn by me) on a platter. She liked calling herself our overlord and now her face was sure to always watch us, even when she was asleep. In one of our midnight wanders, we came across another team's room. Tim began drawing a big face on their whiteboard and well... it kind of got out of hand. 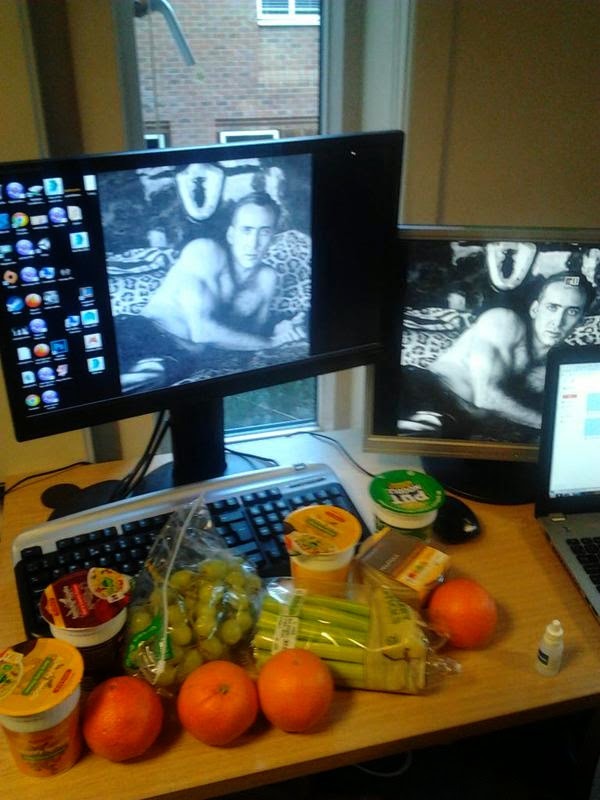 By far, the most bizarre thing that happened was when our team made a shrine to Nicolas Cage. Tim and Dan had come back from a hunt for food. When they arrived, we arranged it all at Nicolas Cage's feet. I can't help but feel that what had a lot to do with this was the fact we had only had 3 hours sleep the night before. 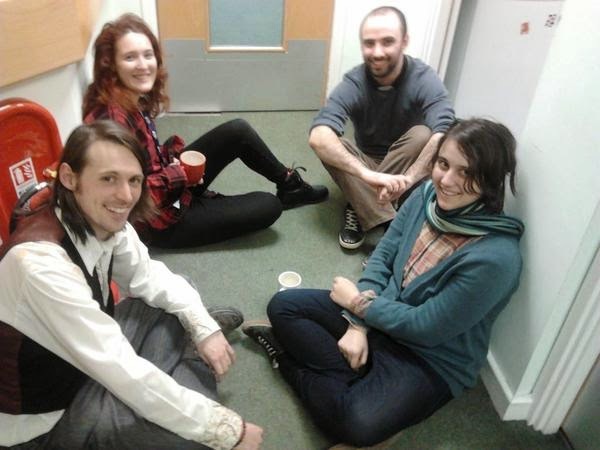 Finally, politics and tea are two very necessary things to game design, especially if it is 2 in the morning and we're sitting in the corridor. 1. Being just a designer is sometimes not enough. 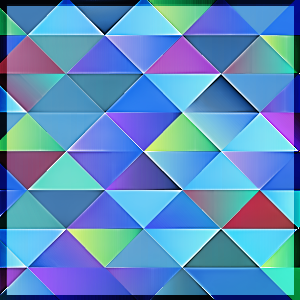 Having a secondary skill such as production, modelling, art, programming, etc. really helps when the project moves from the creative to the implementation stages and back again. 2. Sketching skills are essential for communication. There will be many times where team members will say "Huh? I don't understand that". At which point being able to sketch it out on paper or perform it using paper craft really helps clarify. 3. Patience, clarity and tact. Disagreements happen at which point it is always better to listen than to speak. And when you speak, always be clear and respectful with your arguments. Getting emotional or stubborn in these situations is the number one way to failure. 4. The enjoyment of the team comes first. Everyone has to feel like they are making a game they feel passionate about. Therefore, finding a game that everyone agrees on will always give much better results. 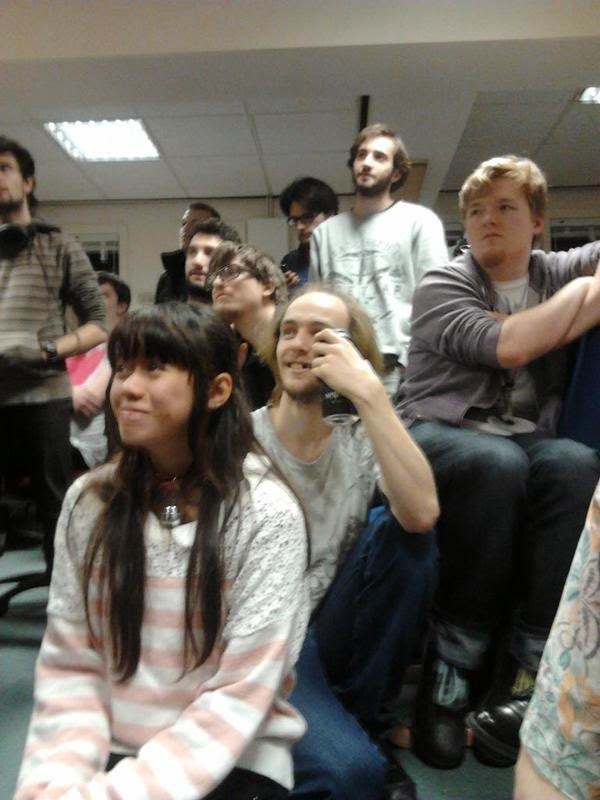 At the end of the jam, everyone gathered to showcase what they had made. I was so impressed by all the different interpretations of the theme. The energy and innovation was stellar and we all had a really good laugh. 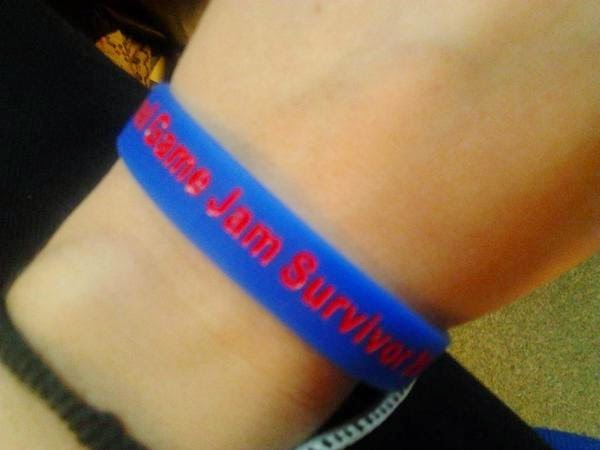 All the games Brunel University students did can be found here. 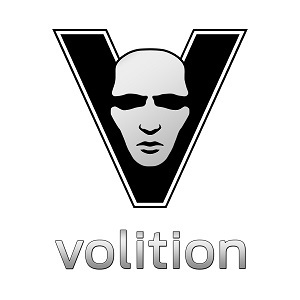 There are two games I'd like to highly recommend people. Those are Nope! and Tribe. After playtesting Nope! I had to take a long moment with Tim to recover myself by how blown away I was by it. Game design at it's finest! 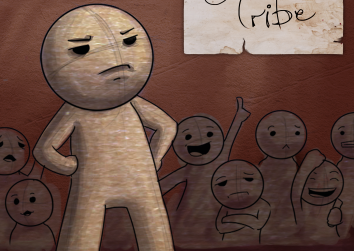 And Tribe was an absolutely insanely fun experience when played in a room full of people, all shouting at the tribe leader on what they should do. 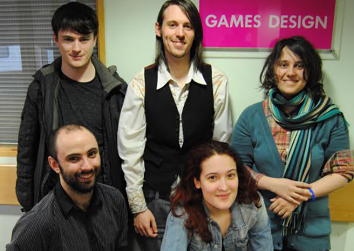 Congratulations to all Brunel students who participated in the Global Game Jam! We can all be super proud of our work.